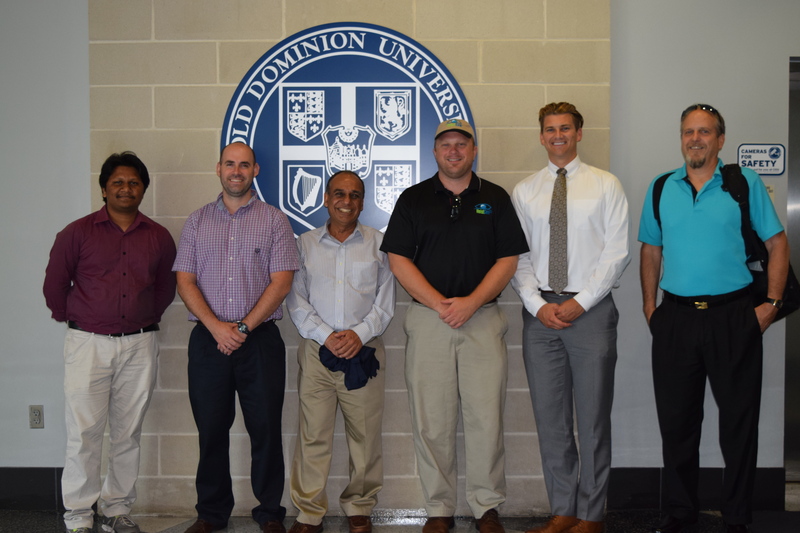 NORFOLK, Va. (Aug. 3, 2016) – Netarus announced today that it has awarded two Old Dominion University students a prize pool of $1,000 for capturing top honors at ODU’s first Analytics Challenge, a competition designed to expose students to the most advanced optical character recognition (OCR) platforms that can be used with any analytics program to problem-solve for businesses and industries. ORC technology converts documents and images captured by a digital camera into searchable data. 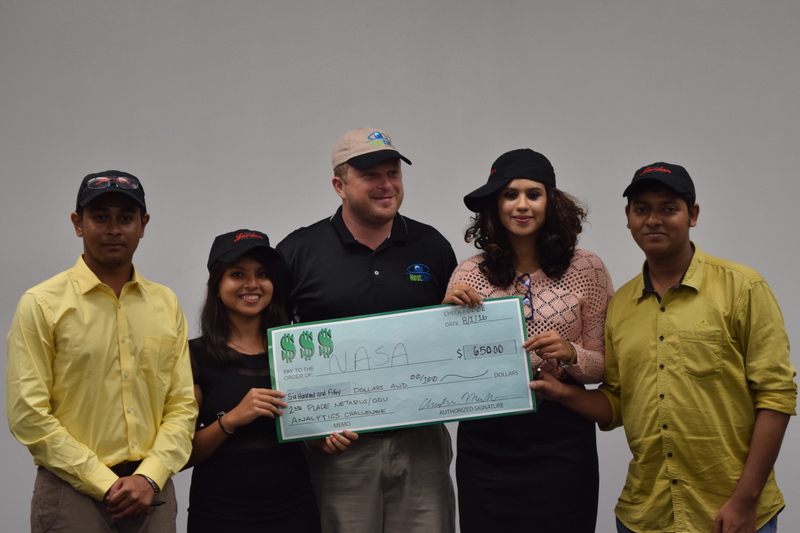 Winners from Team NASA competed with 16 other students from ODU’s Adjunct Assistant Professor Ajay Gupta’s computer science Summer Research Workshop, using Netarus’ signature products and ODU’s analytics program to capture and analyze data at a local W. M. Jordan Company construction site. These products were HoistCam™, a durable wireless camera system; HoistCam Director™, an unmanned sensor data capture and storage system, similar to a drone. Headquartered in Norfolk, Netarus is an architect of technology solutions designed to increase safety and productivity in industrial settings, including construction. W. M. Jordan Company is a Newport-News based contractor and known throughout the construction industry for using technology in the early stages of project development. “We are thrilled that we were in a position to partner with ODU to engage aspiring problem-solvers to learn first-hand how access to highly accurate and quickly obtained data impacts safety and efficiency in the construction industry,” said Netarus’ Chief Technology Officer Christopher Machut. “We were pleasantly surprised with how well all of the students used a video analytics platform to demonstrate the real-world use of data at an active construction site,” Machut said. Students had access to a W. M. Jordan construction site pictures and videos captured by Netarus’ HoistCam since July 11, 2016. “Netarus is one of our strategic partners, so when we were approached to participate in this ODU challenge, we did not hesitate to say yes,” said Geoffrey Bean, W. M. Jordan’s virtual construction coordinator. A panel of three judges evaluated students’ submissions on creativity, usefulness, efficiency and costs associated to support recommendations as result of the analytics collected and interpreted. “As an incentive to take this challenge seriously, we agreed to award the top two submissions with $500. 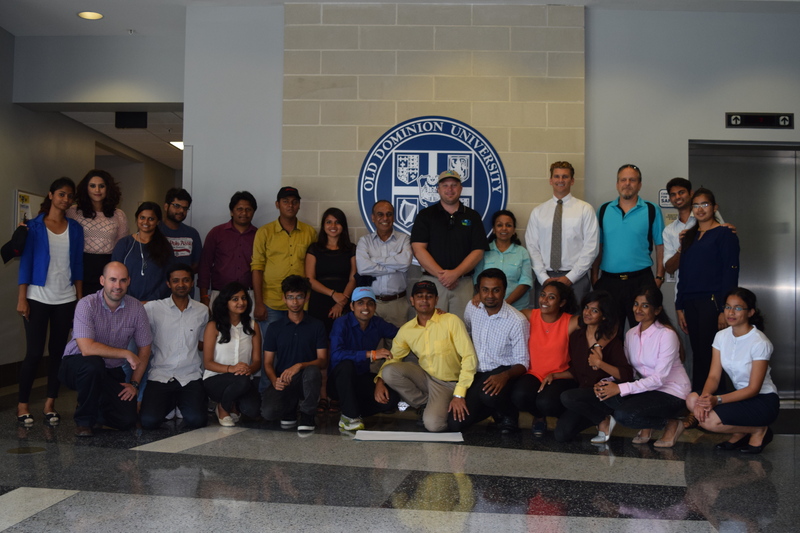 We hope this challenge will become an annual ODU event,” Machut said. Additional details about the challenge are available at Netarus.com.